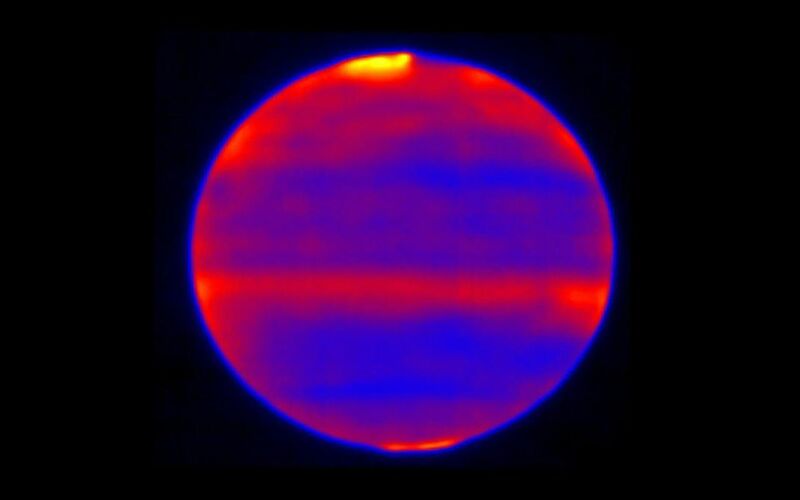 Sensitive to Jupiter's stratospheric temperatures, these infrared images were recorded by the Cooled Mid-Infrared Camera and Spectrograph (COMICS) at the Subaru Telescope on the summit of Mauna Kea, Hawaii. Scientists used red, blue and yellow to infuse this infrared image; regions of the atmosphere that are more yellow and red indicate the hotter areas. This highlights the auroral heating that occurs at Jupiter's poles, where energy from the solar wind and magnetosphere are deposited. 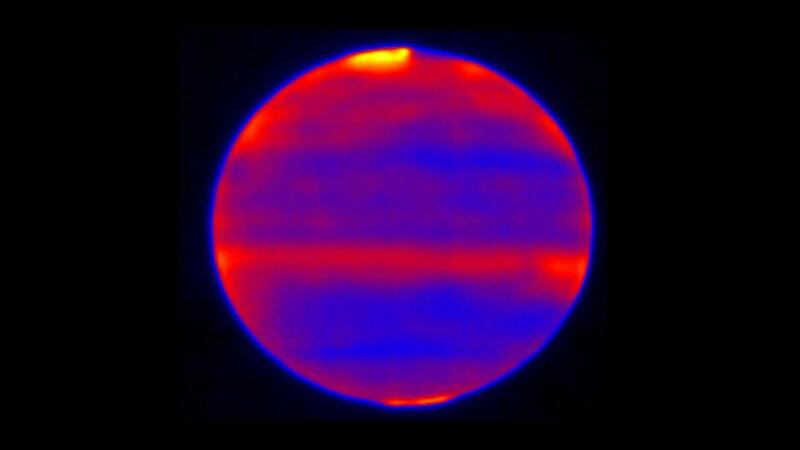 This image was captured on Jan. 12, 2017. 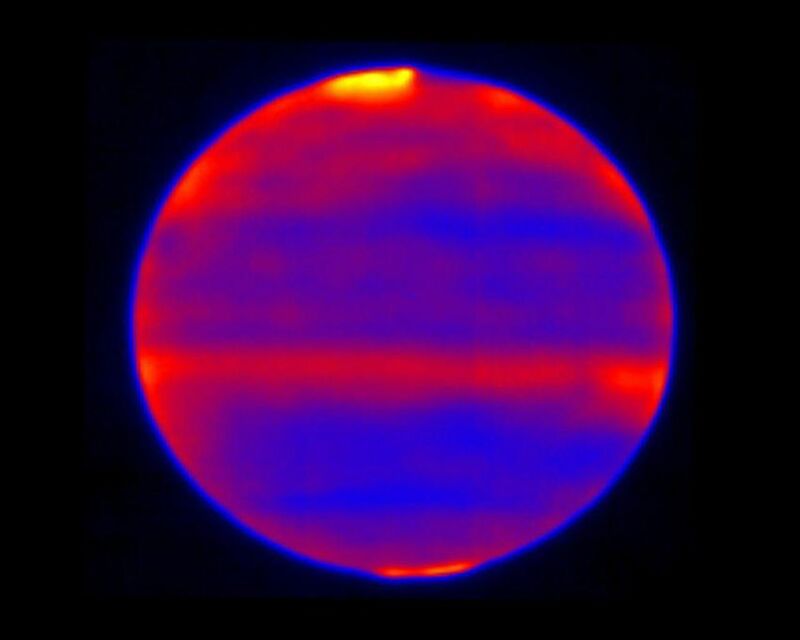 This work was supported by a NASA Keck PI Data Award, administered by the NASA Exoplanet Science Institute. This striking view of Jupiters Great Red Spot and turbulent southern hemisphere was captured by NASAs Juno spacecraft as it performed a close pass of the gas giant planet.